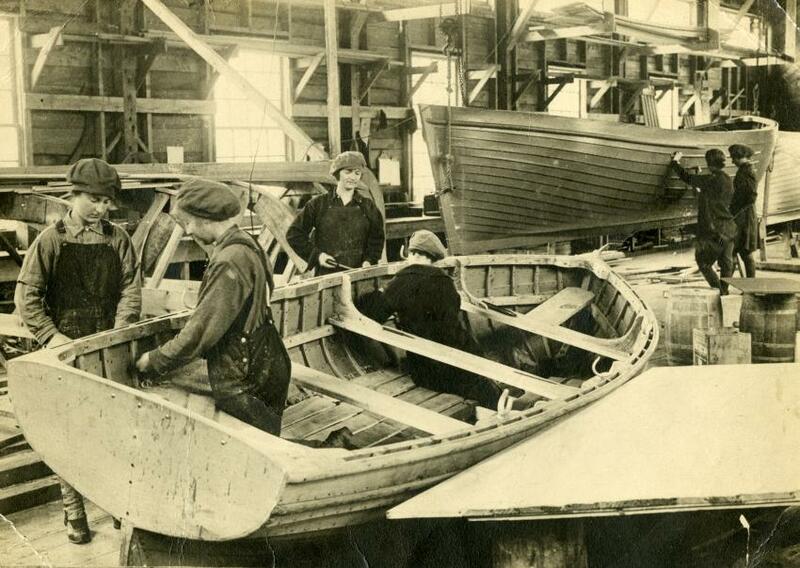 Item is a photograph of female boat builders, taken by Charles Martin of the National Geographic Society. Four women work indoors on a lifeboat in the foreground, while two others work on another boat in the background. These lifeboats were built at Beinn Bhreagh, Baddeck under the supervision of Alexander Graham Bell during the First World War. Donated by Mr. and Mrs. A. C. Day in 1977.